Think of your favorite celebrity – a movie star, an author, a world leader. Let’s say Elvis. Pretend Elvis is arriving in your hometown, and you have been chosen to meet him at the airport. Being polite, you invite Elvis to your house for dinner. When you get to your house for dinner, Elvis slips on some ice and breaks his leg. You then discover Elvis is kind of a nightmare. He threatens to sue you for millions of dollars unless you do exactly everything he wants until he’s all better. That’s the set-up for “The Man Who Came To Dinner.” Sheridan Whiteside (Monty Wolley) is a world-famous play and novel critic. He makes and breaks careers, is on a first name business with Winston Churchill, and is the biggest diva you’ve ever seen. He’s passing through a small midwest town on a nationwide tour, and is met at the train by Mr. and Mrs. Stanley, (Grant Mitchell and Billie Burke), the welcoming committee. Mrs. Stanley is particularly beside herself at the chance to meet one of her favorite celebrities. She begs him to eat dinner at their house, and he agrees. Before he even gets in the house, he slips on their icy stoop and fractures his hip. And so begins the most miserable Christmas the Stanleys have ever known. 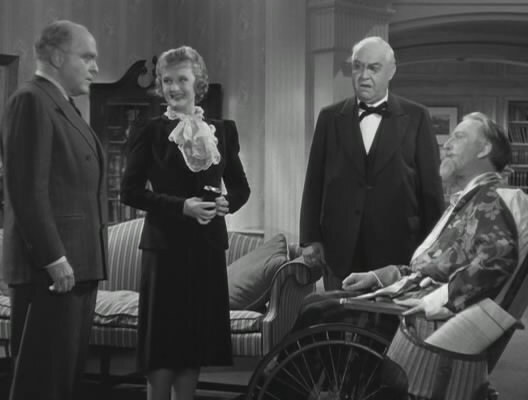 Whiteside and his secretary, Maggie (Bette Davis) have moved into their home – in fact, they’ve taken it over. For more than a month, they’ve sequestered the Stanleys to a small part of the house while Whiteside and Maggie fill the rest with bizarre gifts from foreign dignitaries wishing Whiteside well, and even more bizarre houseguests. Whenever the Stanleys protest, Whiteside threatens to go forward with a lawsuit that that would take them for everything they were worth. While Whiteside is doing his vindictive best to turn the Stanley’s world upside down, Maggie is falling in love with a local yokel newspaper man and tells Whiteside that she’s going to quit her job and get married. Whiteside is distraught. Totally dependent on the longsuffering secretary, he’s desperate to keep her – because of her work ethic, not for romantic reasons. How modern! Whiteside concocts a scheme to break up the blossoming relationship. But will Maggie stay when she finds out he’s behind it? And will the Stanleys ever get rid of their their most unwelcome houseguest – without losing their shirts in a civil suit? 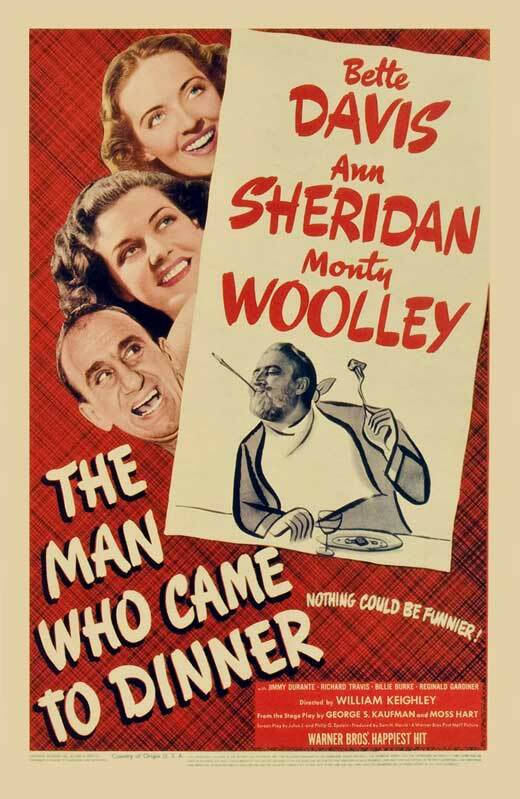 A kooky Christmas comedy, “The Man Who Came to Dinner” is going to be on TCM on Saturday, December 22, at 5:00 pm CST.